Ensuring safe work environments for your employees extends to all areas of the building, including loading docks and other areas where sliding door systems are installed. Accidents around industrial doors are very common, resulting in injuries to your employees, vendors, or other visitors. 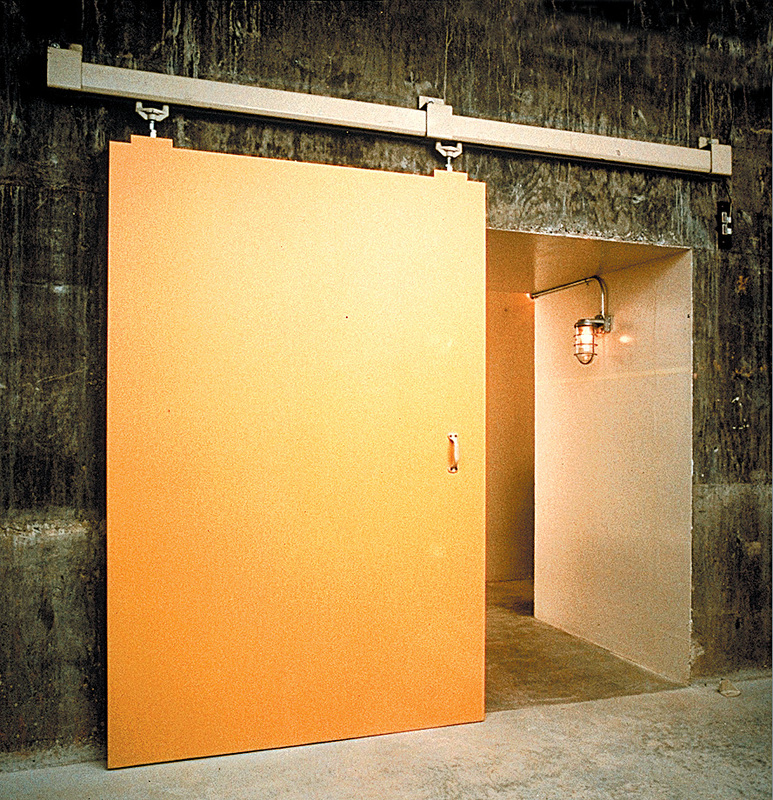 To ensure safe work spaces where industrial sliding doors are being installed, operated, or used, RW Hardware is pleased to offer the following tips and suggestions. Prior to installing new industrial sliding doors, make sure to section off the location with temporary barriers. You should require the use of the proper safety gear and protective equipment, like hard hats, work gloves, and so forth, to enter the area. 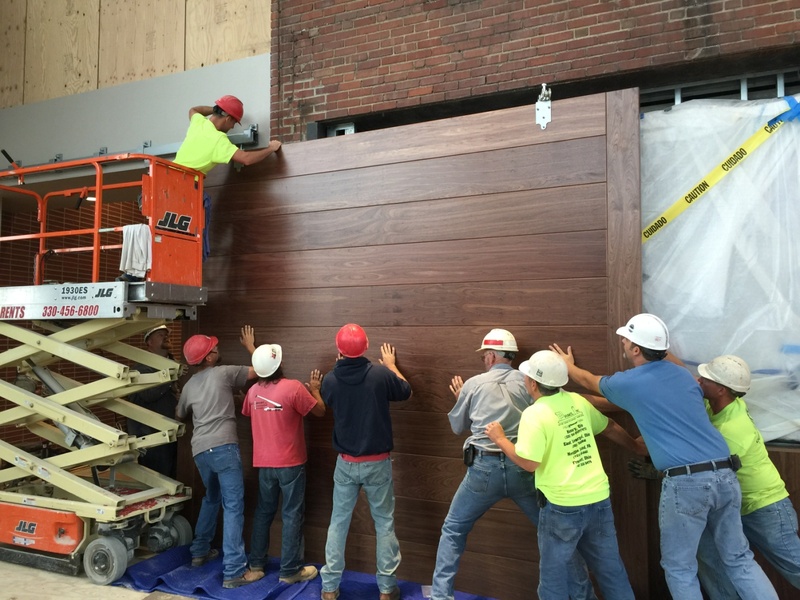 Make sure you have adequate workers to install the doors, which sometimes have to be lifted manually in place. In addition, make sure there are warning and caution signs in place to alert others to work being done. When removing old doors or installing new sliding doors, make sure employees are aware of potential dangers. Take steps to ensure doors do not accidently fall as the doors and hardware are being removed from existing doors or secured to new doors. Depending upon the weight of the door, the use of scissor lift or other such equipment could be required for the removal and installation of the doors. Furthermore, it is always a good idea to attach the door hanger hardware onto the door prior to lifting into place and securing it to the track system; plus, doing this ahead of time will make installation easier. Make sure to use the right track hardware with the new doors. Sliding track hardware is weight-specific, so the gauge of the track, the hangers, and any other accessories should be sized to the weight of the doors. If the weight of the door is at the high end of weight ranges on certain hardware components, consult the specialty door hardware manufacturer for their recommendations. They might suggest selecting the next higher weight range. Additionally, all doors, regardless of size or weight, always use two hangers; no more, and no less. When closing or opening heavy-duty sliding doors, workers should check for any potential obstructions such as boxes, crates, trash bins, or people. If the doors are located in a high-traffic area, it does not hurt to use a warning system, like making an announcement, sounding a bell, or using flashing lights to indicate the door is being opened or closed. Never stand in blind areas behind or around opened or closed doors. It can make it difficult for the operator to tell someone is there. By following these safety tips, you can help prevent accidents and keep people safe. For assistance in selecting the proper industrial door hardware and accessories, do not hesitate to call RW Hardware at 800-253-5668 today! We are also experts at creating customized door solutions to fit your exact specifications and needs.